This best-selling robot vacuum is on sale again! Over 2,800 TODAY readers have purchased this item since August. 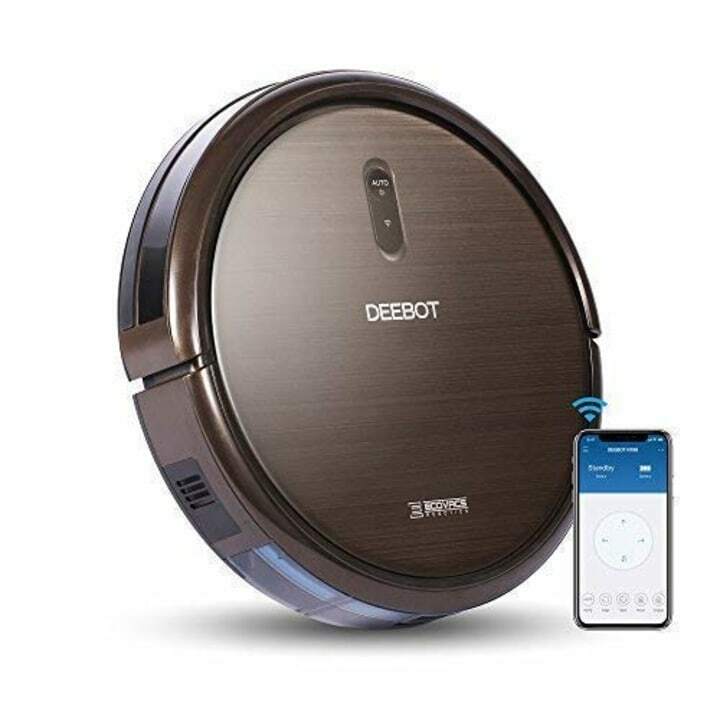 Right now, you can get 37 percent off the Ecovacs Deboot N79s robotic vacuum, an Alexa-compatible product with over 2,800 positive customer reviews across online retailers. Usually, this vacuum costs $300. Today, it's on sale for $198 (that's 37 percent off). For parents and pet owners, a robotic vacuum is life-changing. It lets you sweep up dog and cat hair, dust, cereal — when the kids accidentally pour just outside the bowl — and anything else that might get "accidentally" dropped on the floor ... while you lay on the couch watching movies. While the Ecovacs vacuum includes technology and sensors to help it navigate a home on its own, it also connects to any smartphone with an app and even allows you to control it using Alexa or a Google Home. If it runs into a corner, stair, wall or furniture, it automatically reroutes. It can even find its charger on its own. But, of course, the vacuum comes with a traditional remote control as well. It's best for hardwood or tile floors, though it also works over thin carpets. And, the Ecovacs vacuum also features an air filtration system to clean dust particles it might kick up as it vacuums the floor. Amazon reviewers are generally enthusiastic about the product, too. One noted, "Creepy cool product, I mean, it's a robot doing your housework!" Another reviewer said it "way exceeded our expectations." And, a few have given their Ecovacs endearing nicknames: one reviewers calls it "Suckatron" and another named it "Dobby" ... like the house elf from Harry Potter.